Our beloved Della left to the rainbow bridge at the age of 13 years. Although she had been healthy all her life, she had got in poor shape by the winter. 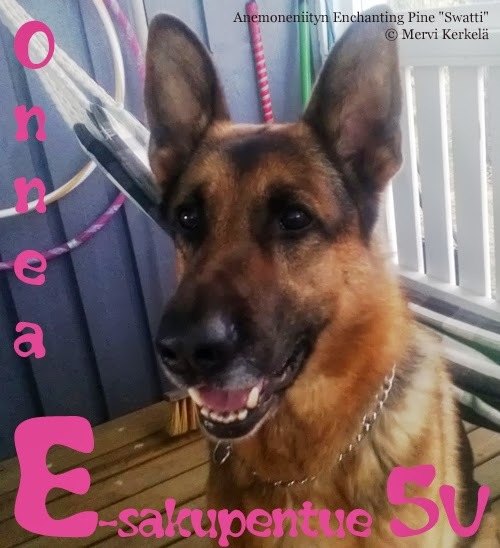 Happy birthday to our E litter of GSD "puppies": Elsa, Elvi and the angel Elvi, Eino, Manteli, Swatti, Petu and Rico!